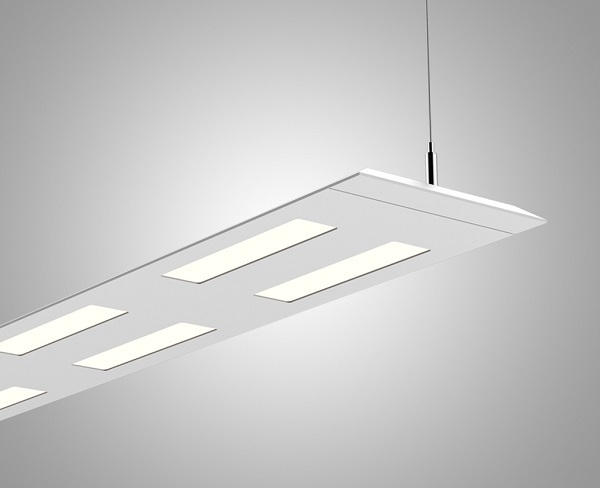 Acuity Brands announced Olessence™ luminaires by Peerless®, a new high-performance architectural linear suspended lighting solution for commercial and professional office spaces. Olessence luminaires balance OLED and LED lighting technologies to maximize beauty and performance in lighting while optimizing energy savings and cost. Olessence luminaires feature Duet SSL™ Technology, the award-winning design concept from Acuity Brands that optimizes the performance of OLED and LED light sources in a single luminaire. The handsome, sleek and contemporary luminaire features a 7.25 x 0.5 inch profile. OLEDs provide soft and calm diffused lighting for comfortable perceived brightness. LEDs add high-lumen performance and precise optical control of the uplight distribution serving as the primary source of ambient illumination. In addition Olessence supports an integrated nLight® module for system networking, as well as integrated sensors for daylight dimming and/or occupancy detection.